A scruffy stretch of East Watertown, home to a pedestrian collection of stores and medical offices, may be destined for a makeover as a mecca for start-ups and young professionals. Boylston Properties, a Boston developer, is teaming up with athenahealth Inc. chief executive Jonathan Bush and Wilder Cos. to purchase the 225,000-square-foot Arsenal Mall and two nearby parcels. They plan to transform them from “a black hole,” in Bush’s words, into “a cool place to live and play,” with loft apartments, hip restaurants, and boutiques catering to entrepreneurs and technology whiz kids at nearby companies. The ultimate goal is to extend the area’s innovation cluster into Watertown by offering lower rents and leases than in pricey neighboring Cambridge. “It’s going to be the Kendall Square lifestyle at half the price,” Bush said. The development plans, which are still being formulated and will require town approval, would benefit athenahealth, Bush’s fast-growing electronic health care records company. 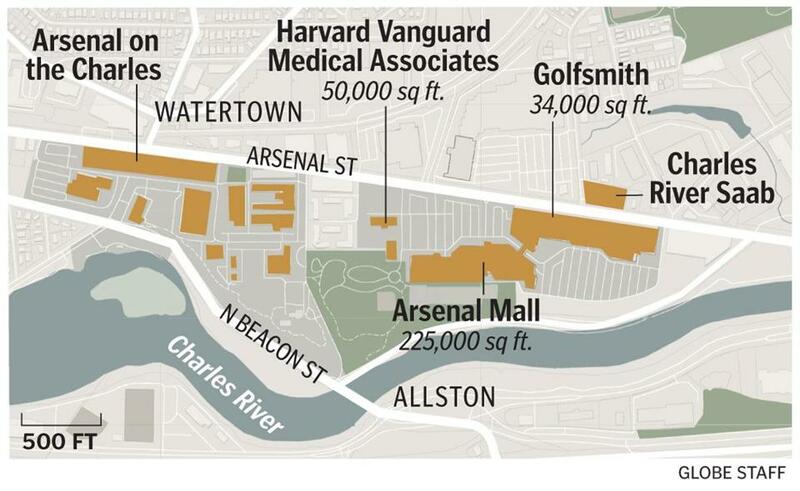 The Watertown company recently purchased the neighboring Arsenal on the Charles office complex from Harvard University for $168.5 million. Last week, the state Economic Assistance Coordinating Council granted athenahealth $9.5 million in state tax credits in exchange for a promise to add 1,900 jobs over the coming decade at the Arsenal complex — the biggest economic development deal reached with Massachusetts in years. 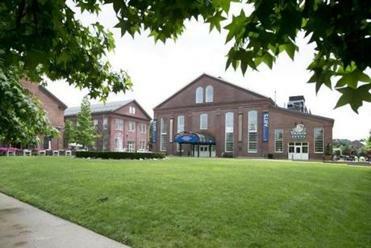 Boylston Properties is best known for its redevelopment projects in Boston’s Fenway neighborhood. But in December, the company bought a property across from the Arsenal Mall that housed the former Charles River Saab dealership, where it hopes to build a hotel. The latest Watertown acquisitions are a chance for it to capitalize on a “de-malling” trend that is gaining traction across the country as many people abandon self-contained shopping sites in favor of mixed-use developments with retailers, housing, and offices. Boylston Properties has signed previously undisclosed purchase agreements on three more properties: the Arsenal Mall and the adjoining Harvard Vanguard Medical Associates building at 485 Arsenal St., both of which are now owned by retail real estate giant Simon Property Group Inc., and the neighboring Golfsmith store at 615 Arsenal St., which is owned by a separate real estate firm. Co-investing with Boylston Properties is Bush, who is putting his personal money into the properties. And Wilder Cos., a Boston firm that manages retail properties, is taking a minority stake in the real estate purchases and will play an important role in planning the retail component of the development. The parties are not disclosing purchase prices, which won’t be made public until the closing of the deals later this summer. Les Morris, a spokesman for Simon Property, declined to comment on the deals. There are 20,000 households within a 3-mile radius of the Arsenal Mall, with average incomes topping $200,000, Wilder said. In contrast, he said, Chestnut Hill, considered a top retail draw in the state, has 15,000 households earning more than $200,000. The partners will be working to develop more specific plans for the Arsenal Street properties. But Wilder said he envisions a more open-air shopping experience, similar to what his company has developed at Wayside shopping center in Burlington, with sidewalks, outdoor cafes, and additional landscaping. There are also opportunities to develop more biking and pedestrian paths along the Charles River between Watertown and Cambridge, he said. While Watertown officials have not seen any plans, they welcomed the planned change. In recent years, East Watertown has turned into a bustling location for technology companies that want to be close to Harvard University and the Massachusetts Institute of Technology while paying reasonable rents. Athenahealth, one of the country’s largest makers of software to manage health care records and billings, already has nearly 1,100 employees in Watertown and pledged to nearly triple that over the next decade. Office rents in Watertown were $28 per square foot in the latest quarter, on average, compared to $50.48 in East Cambridge, which includes Kendall Square, according to Jones Lang LaSalle, a commercial real estate firm. Still more office space is needed, with nearly all of Watertown’s top-class office space leased, said Brendan Carroll, vice president of research for the commercial realtor Richards Barry Joyce & Partners. But he also warned that as athenahealth expands and takes more space in the Arsenal on the Charles, it will become more difficult for start-ups and midsize companies to find space in the town. “We’re definitely getting into an environment where the traditional types of occupants are going to be unable to secure space in the Watertown area,” Carroll said. Boylston Properties’ McQuillan said it will take six to 12 months to formulate a plan for the three parcels, starting after Labor Day, and he hopes to obtain town permits and begin construction next year. But the plan will be part of a larger vision, shared by the partners, that includes the hotel on the former Saab site, a new “master plan” for the Arsenal on the Charles complex owned by athenahealth, and efforts to make all of the properties more accessible to the nearby Charles River. The partners are not the only ones competing to attract high-tech, life-sciences, and clean-energy companies: Boston has designated several neighborhoods — Allston, the South End, and the South Boston Innovation District — as start-up friendly. And several suburbs are vying for businesses along the stretch of Route 128 between Waltham and Burlington. But for the Watertown partners, there is no shortage of ambition. Bush, a cousin of George W. Bush, the former president, outlined his vision for the properties along Arsenal Street in expansive terms. “You have to have a place to live, work, and play,” he said. “We have work but we couldn’t get live and play into the Arsenal on the Charles. Nobody in this generation wants to schlep for an hour and a half on the Mass. Pike to a little patch of land. Follow him on Twitter @GlobeRobW. Deirdre Fernandes can be reached at deirdre.fernandes@globe.com. Follow her on Twitter @fernandesglobe.